Have you experienced Getaway Campers? Help others learn about this company by sharing your first-hand information with other road-trippers. Getaway from stress and stay off the beaten track with Getaway Campers campervan mobility. Their convenient London location shelters their limited selection of fuel-efficient and compact campervans. They do not have any onsite customer parking, especially for your personal vehicles. Because of the limited parking in the surrounding area, the company could not assure you of a sure parking spot; hence, promoting other parking locations near their area. But the nice thing about this small campervan hire is the possibility of bringing your furry pets during your trip. Yes, you can bring along your pets! Whether you're an independent backpacker, a couple or with your family or friends, the 4 berth campervan from Getaway Campers is perfectly designed to save you heaps of money on rental. These automatic campervans either feature a Toyota Regius or the most recent Toyota Alphard as base models and come with unlimited mileage and UK/European Satellite Navigation. With these vital features, you'll never run out of places to visit or get lost while visiting the unknown. Also, you can take your campervan anywhere in the UK, up to Ireland or Europe. Each Getaway camper is very easy to drive because the vehicle itself is not too big or too small to maneuver; therefore, it fits well in a standard car parking spot. The Toyota Regius campervans normally seat up to four people (some seat 5) and sleeps only two people inside, with two/three other passengers in an optional awning. With that, these campervans are actually 2 berth units that are very economical and come with excellent features for the price. For 2018, the company unveiled an upgraded unit with a Toyota Alphard fit out that is equipped with upgraded features like electric side doors, bigger fridge/ freezer and cozier double bed. Other useful facilities are also supplied inside such as gas stove, water container with hand pump, CD/MP3 player and more. Included in the rental is the fully comprehensive insurance. For drivers 25 - 75, the excess is £500.00 while for drivers aged 21 - 24, the excess is £750.00. There are insurance reductions options available: Option A at £5.00 per day for an excess of £250.00 or Option B at £15.00 per day for an excess of £0. On the other hand, the amount of security deposit depends on the rental duration and age of drivers. 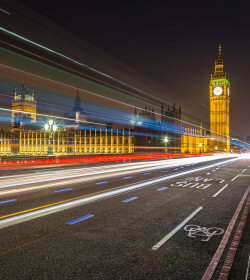 For 4 days or less hires, security bond amounts to £200.00, for 5 days and longer and drivers aged 25 - 75, it is £500.00, and for drivers aged 21 - 24, it is £750.00. 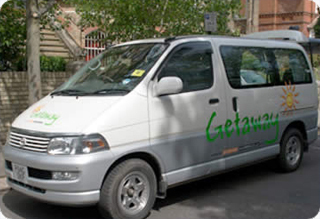 Getaway Campers is a friendly rental that offers low cost holiday through their small and compact campervans. The limited fleet, however, is just enticing for particular number of travellers on board, from independent travellers to couples and families up to 4. They only have one depot and couldn't provide you with a free parking space for your personal car. But the convenient location is great to deal with when picking up and dropping off the camper. Certain boohoo, unfortunately, is the rather older units on fleet with relatively standard facilities like waeco fridge and gas stove. Getaway Campers is all about flexible, fun and low cost UK camper hire experience. So, do not expect for a fancy ride with fancy appointments! Have you experienced Getaway Campers?